Bring some freshness and creativity to your everyday meals by picking a great meal delivery service. Both services offer innovative and healthy meals at reasonable prices. Check out our comprehensive What A Crock VS FreshDirect comparison to learn more about both services and choose the best option for your family. 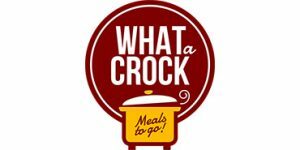 What A Crock offers slow-cooker recipes for beef, chicken, pork, seafood, vegetarian, vegan, gluten-free, and lean entrées, dips, soups, sides, and desserts. Its recipes are incredibly easy and everything you receive is ready to go into your slow cooker, with no prep required. What A Crock is a unique meal delivery service that specializes in slow cooker meals. It offers a vast range of dinners and desserts prepared by pro chefs that you can simply unpack and place into your slow cooker. If you want to try new slow cooker meals and enjoy delicious food whenever you do not feel like cooking, see this What A Crock review.